It's always a hard pill to swallow when a film you're really looking forward to doesn't perform as well at the box office as you'd hoped. Anyone who has been a big franchise fan has likely had to come to terms with this at some point, with everything from Superman Returns (that was me in 2006) and Hulk (2003), to Planet of the Apes ('98) or Red Dawn (2012). In the case of Pacific Rim, it looked like a movie crafted by a renowned director in a shockingly original direction, from a concept perhaps unoriginal to anyone that had Megazords, Rock 'Em Sock 'Em Robots and Godzilla toys as a kid. 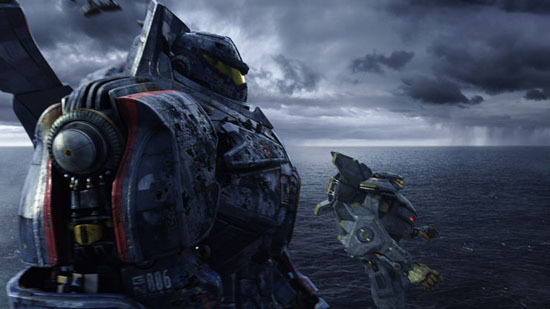 Unfortunately, a massive opening weekend wasn't in the cards for Pacific Rim. 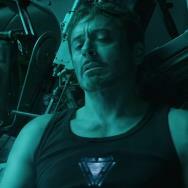 As outlined by Erik Childress in Movies.com's weekend box office report, the sci-fi actioner took in an estimated $38.3 million at the domestic box office, coming in third place behind both Despicable Me 2 and the horrendously reviewed Grown Ups 2. This is particularly difficult news to take considering the massive difference in critical reception between Pacific Rim and the Sandler sequel. Grown Ups 2 currently stands at a meager 6% on Rotten Tomatoes, whereas Pacific Rim has garnered a respectable 71% and an "A-" grade from CinemaScore. How could this be? For many, it's impossible to look past the promise of a film, especially if it clashes with the reality of its performance. Any pragmatic fan of a genre or franchise can likely look back on their time as a fan of an upcoming film and identify the exact point point where they went from selling a prospective release to their friends to half-heartedly defending a box office flop. When a film is good, it's always far easier to defend, but in this case where did the expectation fail to become reality? I personally don't feel that it's the fault of any one element, as much as the underestimation of peoples' desires for a family film. 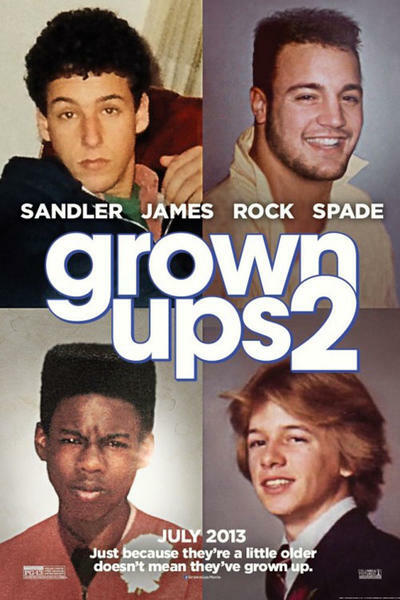 As much as it's been maligned by critics, Grown Ups 2 is already on its way to success. On a budget of $80 million, it's made back more than 50% of its budget, has a solid "B" grade on CinemaScore, and a 90% viewers rating from the users of Rotten Tomatoes (only slightly higher than Pacific Rim's 87% viewer rating). For all intents and purposes, this seemed like Pacific Rim's time to shine. A summer blockbuster in every sense of the phrase, it seems like a surprise that it could be outperformed by a sequel to a film that not many people were asking to see. When it comes right down to it, though, it was what people came out to see: a family-centric buddy comedy. In situations like these the best thing I can recommend as a fan of the genre and the director is the same thing I recommended to my friends when so many films I looked forward to failed to make a big splash: just go see it. Tell people how much you enjoyed it and tell them how it made you feel. Encourage them to go with you on your second, or third, or sixth viewing. Tweet about it, post on Facebook about it, share some photos on Instagram of you guys sitting in the row at the movie theater before the lights go down. It's easy for us to say that a film doesn't "deserve" the success that the box office better received, but true fans know that big box office dollars does not a good movie make. Who knows? By the time it hits home media and you're ready to take a Blu-ray home, maybe your efforts will help show people what they may have missed out on the first time around. 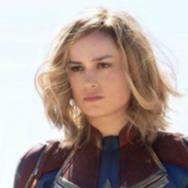 One advantage that Marvel comics fans have over the people who only check into the movies is that they get to see many of their favorite characters interact with each other every once in awhile, and on a far more frequent basis than Marvel Studios will be able to pump out Avengers films. 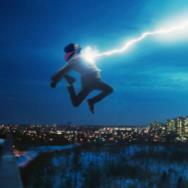 Whether it's Tony Stark showing up in an issue of Indestructible Hulk, the Punisher running across the rooftops away from the ol' webhead in The Avenging Spider-Man, or even Sue Storm and Wolverine going back in time to kill Hank Pym in a recent issue of Age of Ultron, Marvel Comics fans are used to the heavy cross-pollination between characters and worlds inherent in the comic book shared universe. Unfortunately, such a thing in the films is legally not possible. While Marvel Studios has the keys to the vast majority of its publishing arm's characters like the Avengers, Daredevil, the Punisher, Dr. Strange and the Guardians of the Galaxy, several of its big-ticket franchises have their rights locked at other studios. Fox recently lost Daredevil since the studio failed to make a new film recently, but it still holds onto the worlds of both the X-Men (and major characters like Wolverine, Magneto and Cyclops) and the Fantastic Four. 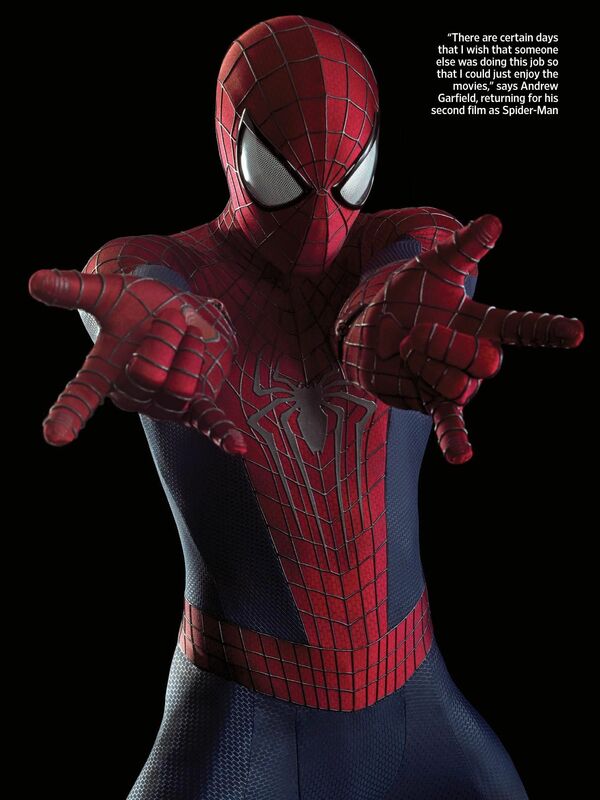 Sony doesn't look like it'll be slowing down anytime soon with its Spider-Man films, arguably Marvel's biggest character and definite mascot, since it just announced release dates for the next two movie outings through 2018. Anyone looking for a giant Marvel megacrossover should probably put those expectations on hold for a long time... unless you have clout with studios, that is. "Mate, I ask the same question. I literally asked the same question the other day to Tom from Marvel who works with all the other studios, he works with Sony and Fox, that’s his job to liaise. I said, ‘Man, can this happen?’ and he goes ‘Look, it’s not gonna be easy because you’re working with different studios and they’re their properties.’ But I believe—maybe I’m optimistic, I understand at Marvel they’ve got the Avengers, they’ve got a lot of big things going on, but at some point I just find it almost impossible that there’s not a way to bring Iron Man, all the Avengers characters, Wolverine, the X-Men characters, Spider-Man and somehow get them in together." Even knowing the difficulties inherent in multiple properties residing at different studios, Jackman was undeterred. "(smiling) I don’t see the impediment! I’m like, okay you’ve got three studios, just split it three ways in terms of the cost, and happy days it’s all coming together! I would love to… I’m in for it, I’m totally up for it because I think that would be really exciting for fans across the board." 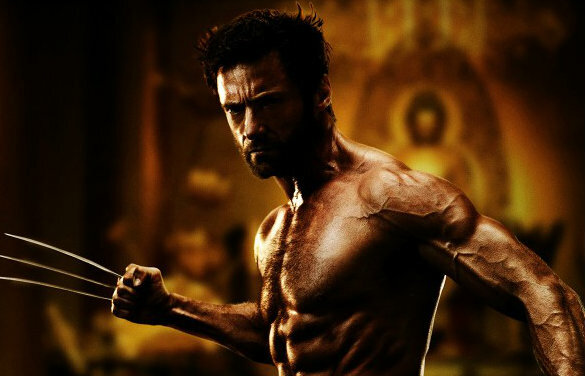 I think the vast majority of the fans are with Jackman: if people clamor enough for such a film, and the studios see a promising payout after what would likely be a complex and major expense, then it's not outside the realm of possibility that something could happen if the right people willed it to. Regardless of the facts and legal complexities, an on-record endorsement from the man who has embodied Wolverine so magnificently for the last 13 years is definitely encouraging for anyone hoping for the massive Marvel crossover of every comic book fan's dreams. This is going to be my last edition of the Geek Beat here at Movies.com, and I just wanted to thank every reader of this piece for their patronage and support over the last 10 months. It was an honor to start the Geek Beat for the site back in September, and I really appreciate your comments and criticism because it meant that you read the articles! I'll be back next week with a brand new article for the site that will detail one of my major passions: the intersection between the comics page and the film frame. The Geek Beat will still come to you every week from a new perspective, so be sure to keep your eye on Movies.com! Chris Clow is a geek. He is a comic book expert and retailer, and freelance contributor to Movies.com, GeekNation.com, The Huffington Post, Batman-On-Film.com and ModernMythMedia.com. Check out his blog and follow along on Twitter @ChrisClow.